F35 is a true full range 2 1/2-way 5.25” floor-standing loudspeaker that was designed to provide true high-end sound quality. Earn 1895 loyalty points when you order this item. 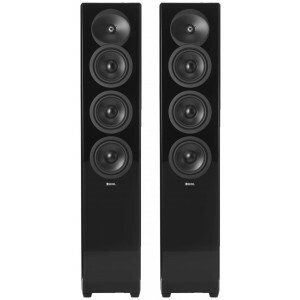 Revel Concerta2 F35 floorstanding loudspeaker was designed to deliver outstanding accuracy over a remarkably wide frequency range. The 2 1/2-way triple 5.25” floorstanding loudspeaker has the ability to provide performance worthy of the most demanding entertainment systems. It will deliver an impressive combination of wide frequency range, uncompressed dynamic range and low distortion across the entire audible spectrum.